2017 was a killer year for professional AV. With the influx of IoT, experiential design, and networked everything, the audiovisual game is changing. Our 2017 Products of the Year showcases the new and innovative technologies that are redefining the AV industry. The Acendo Vibe 5100 is a web conferencing soundbar with integrated camera. Featuring Sound by JBL, integrated connectivity that a professional environment requires, and a look that holds up to modern workspace architecture, Acendo Vibe supports the high standards of today’s workforce. 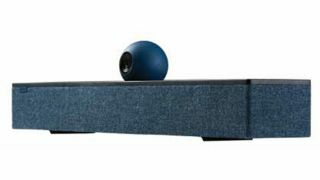 With Acendo Vibe’s wide-angle camera, integrated JBL speakers, far-field microphones, and DSP algorithms, users can be sure everyone in the room is seen and heard clearly. Additionally, because the camera and microphones are integrated into the same device the potential for echoing during the call is eliminated. Atlona’s networked AV control system, Velocity, is highly scalable and easy-to-configure system that is built to maximize redundancy and prevent downtime in multi-room AV systems. Velocity provides a flexible platform for control of Atlona and third-party products, while its network-based system management approach enables control system configuration using a web browser along with offsite devices. Velocity is comprised of three distinct elements that work together as a single, unified platform: Velocity Cloud, a centralized online resource for remote configuration, monitoring and service; Velocity Control Gateway, an IP-based control processor with automatic failover capabilities; and Velocity Touch Panels, available in 5.5-and 8-inch screen sizes. Avocor Note by Nureva is an easy to use white-boarding application that comes standard with all Avocor displays. With a selection of backgrounds, images, and icons, the software is designed to enable users to create professional-looking whiteboard content. The software works seamlessly with Avocor displays, fully supporting object awareness, including pen, finger, and palm recognition. Content created in the software can be easily shared with others, as a complete whiteboard session page, individually as images or PDF files for distribution anywhere in the world. Content can also be shared into other applications including Nureva Span for further collaboration. Biamp’s TesiraLUX adds low-latency, 4K-networked video transport to the Tesira ecosystem through the reliability of AVB/TSN. The TesiraLUX product line includes an AVB video encoder (TesiraLUX IDH-1) and an AVB video decoder (TesiraLUX OH-1). The encoder features one HDMI port, one DisplayPort, and includes two mic/line level analog inputs. The decoder includes one HDMI port and two-line level analog outputs. TesiraLUX supports the latest advancements in video formats, including 4096x2160 at 60Hz, high dynamic range (HDR) and the Rec. 2020 color space. It can accept video at up to 16-bit color depth with 4:4:4 chroma subsampling. It also supports eight channels of embedded PCM audio which can be broken out to be routed and processed independently. Chief’s PRSU stand was designed for quick, tool-less, and intuitive set up. Most integrators and endusers are able to build this cart in less than two minutes—even the first time. The product’s rugged design can withstand the wear and tear that is commonplace when working with portable AV applications. The PRSU also breaks down and folds up for easy space savings, and can be stored in a customized, wheeled case accessory that can be stacked or set upright to accommodate various truck and warehouse spaces. ClearOne’s VIEW Pro line of media encoders and decoders, along with the powerful new PANORAMA and CONSOLE video wall software delivers high quality multimedia streaming on an existing IP network, giving integrators and endusers an install-ready system with 4:4:4, true-color digital media distribution. With various rack-mount components, as well compact decoding options, offering H.264 compression, 24-bit color, up to 1080p resolution at 60Hz, ultra-low latency, video windowing, and advanced content control, the VIEW Pro line provides scalability to maximize the potential of any digital display network, whether in a new construction or renovation environment. Crestron DM-NVX-350 is a compact video encoder/decoder designed to function as either a transmitter or receiver with the ability to switch between the two modes programmatically via commands from a Crestron control system. The DM NVX Series is a 4K60, 4:4:4, HDR video over 1Gb Ethernet solution that provides network security at the product level, leveraging a battery of standard network security protocols including 802.1x authentication, active directory credential management, PKI authentication, AES encryption, TLS, SSH, HTTPS, and secure CIP. DM NVX delivers a scalable, high-performance solution for enterprise-wide 4K content distribution. The DisplayNet DN-200 Series leverages the latest SDVoE technology to distribute uncompressed AV signals with resolutions up to 4K/60Hz over a 10GbE Ethernet network. The DN-200 Series adds support for HDMI 2.0 with up to 12-bit color, HDCP 2.2, DisplayPort 1.2, and High-Speed USB 2.0. A high-performance scaler in both the Transmitter (Tx) and Receiver (Rx) units enables very fast switching, multiviewer, and enhanced video wall processing. The HC 404 is an affordable and easy-to-use AV system for collaboration spaces. The system features built-in control capabilities and integration with occupancy sensors to automate display power and source switching for a simplified user experience. Created for professional integration, the low-profile HC 404 components can be discreetly mounted beneath a table or behind a display. HC 404 systems integrate natively with GlobalViewer Enterprise, providing an AV system management solution to monitor and support all collaboration spaces throughout an enterprise. This 4K network video tiler is a flexible device that can be applied to any installation that requires multi-view functionality, providing video support for resolutions up to full 4K and HDR compatibility. Once tiled, the feed can be distributed to an unlimited number of screens, making it the ideal multi-view solution for security displays. It gives integrators the power to create up to four customizable windows with easy presets, picture-in-picture or picture-over-picture, and adjust transparency of images for multilayered, dynamic display. T5 Series Conference Tables are designed to properly support AV technology for system reliability. Engineered with mounting flexibility, T5 includes power distribution, table boxes with connectivity, and cable management. Each T5 solution includes a table top, support pedestals, and a 3RU TechKit, which ships separately to allow integration to begin immediately. The racks also feature two Lever Lock panels with up to three panes of tool-free mounting possibilities. The pedestal conceals both Wiremold InteGreat HDMI Cable Retractors and a Table Box, providing two HDMI connections and two AC outlets for power right at the table surface. NEC Collaboration powered by ThinkHub is a multi-touch, software-based collaboration tool that consolidates all the moving pieces of a working session: the HD screen, devices, applications, ideas, and content that are critical to achieving great work. ThinkHub works with the same devices, content, and software that businesses already use, facilitating workflow productivity. ThinkHub software is designed to help teams to ideate, visualize, and problem solve, transforming traditional meetings into proactive sessions, driving conversation. Additionally, ThinkHub supports the ability to access and annotate anything via ThinkHub Canvas, including 4K images, videos, documents, and more from a USB network or cloud drive. The Nureva HDL300 audio conferencing system is designed to resolve the frustrating and persistent issue of poor audio pickup, particularly in dynamic environments where participants move around the room. At the core of the HDL300 system is Nureva’s Microphone Mist technology, which places 8,192 virtual microphones throughout a room to pick up sound from any location. Enabled by real-time hardware, the system uses algorithms to simultaneously process sound from all virtual microphones to provide remote participants with a high-quality listening experience. Everyone is clearly heard regardless of where they are in the room or the direction they are facing. Peerless-AV’s Smart-Mount Collaboration Cart with Vertical Lift quickly adjusts the height of an interactive display with the touch of a finger. Offering a maintenance-free design with no motors to service or replace, the cart enables an easily accessible interactive experience. Meeting ADA compliance, the cart allows users to quickly and easily raise or lower a display to their preferred height or for wheelchair accessibility. This mobile solution uses 4-inch lockable casters, corner bumpers to prevent damage to walls and doors, integrated handles to help maneuver the cart, and an extension cord wrap for fast deployment. The Polycom Trio 8500 allows users to experience full, rich, distraction-free audio with high voice quality and patented NoiseBlock technology, and the ability to start calls on time with a modern, intuitive interface. With broad interoperability, users are free to deploy on all leading voice platforms from SIP to Microsoft’s Skype for Business. Future-proof options for video and content allow the freedom to expand capabilities on leading unified communications platforms tomorrow. The Q-SYS Enterprise Core processors combine the processing capabilities of the Q-SYS real-time operating system with the Dell R730XL hardware platform. QSC has decoupled audio, video, and control (AV&C) software from proprietary hardware to allow AV&C processing to take place in the datacenter, which represents an industry shift from single-purpose, proprietary DSP hardware to standards-based IT platform and architecture. Created from the ground up, Q-SYS is a software-based platform built around an open, IT-friendly ecosystem. It leverages the power of Intel processing, the robustness and mission-critical reliability of a Linux operating system, and the interoperability of IEEE networking standards. The 80-inch Sharp PN-C805B AQUOS BOARD interactive display system features Full HD resolution, and serves as a focal point for meetings, presentations, or lessons. Direct bonding technology makes the touchscreen feel and appear more natural. Sharp Pen Software enables real-time information sharing, and up to four people can write onscreen at the same time for effective and lively exchanges. Also, front-access buttons enable quick operation of common functions including power on/off, input switching, and more. Axient Digital combines the benefits of Shure’s UHF-R, ULX-D, and Axient wireless systems to create its most advanced wireless platform to date, suited for all professional productions and situations. Axient Digital includes two transmitter series, the AD series and ADX series, which is equipped with ShowLink and additional features. Compatible with both AD and ADX transmitters, Axient Digital operates on a single, shared receiver. Catering to evolving customer needs—especially in an environment of continued RF spectrum pressure—Axient Digital provides high-performance RF, high audio quality, command and control, and hardware scalability. Sony expanded its range of laser light-source projectors, making laser technology more cost-effective for the installation market. The new LaserLite models, VPL-PHZ10 (WUXGA) and VPL-PWZ10 (WXGA), are designed for commercial applications, including classrooms and meeting rooms, bringing the benefits of laser technology—image quality, color reproduction, and virtually zero-maintenance—to customers who previously may have only been able to experience lamp-based projection. The new fixed wide zoom lens models provide users with a lower-cost, high-quality option for rooms traditionally geared toward lamp-based technology. The projectors’ light source has a total constant brightness of 4,500 lumens for up to 12,000 hours. Utelogy is a Software-Defined Audiovisual (SDAV) platform for enterprise control, management, analytics, and services for smart classrooms, conference rooms, and videoconference rooms. With its standards-based architecture, the Utelogy platform leverages an existing IT infrastructure and can support any AV device with its built-in tool suites. The Utelogy 2.0 ecosystem includes advanced features like U-Help to provide remote video support, U-Command to enable operations center features, U-Schedule for basic calendaring and room booking, and U-Access for user personalization. The platform provides an open API/SDK for enterprise application integration as well as analytics, alerts, and reporting. AV Bridge MatrixMIX combines switching, camera control, streaming, and graphics mixing – all from a single device. This versatility lets end users enhance presentations or events with graphics and interactive content for a superior user experience, and live stream to popular cloud conferencing solutions. Typical applications include live event production, lecture capture, PC-based collaboration, and remote management. AV Bridge MatrixMIX is an 8x2 video mixer with multiviewer output. Its 11x7 audio mixer supports analog, HDMI, USB, and IP audio channels. It offers embedded RTSP IP and USB 3.0 output streaming, plus two graphic keying layers per output channel. Axion LED Displays feature a native 16:9 aspect ratio, and are designed to display full HD, 4K, and 8K video, with additional support for 3D. They feature refresh rates up to 3,840Hz, up to 24-bit color processing, and contrast ratio of 5,000:1 through use of black LEDs. All cabinets are front-serviceable, and their low-profile mask offers wide viewing angles. The Yamaha PGM1 paging station, PGX1 paging station extension, and MCP1 wall-mount controller series features a Dante paging station and network connected smart control panel. Software control for touchscreen interfaces addresses the entire Commercial Installation Solutions (CIS) product line allowing remote control of many Yamaha mixing consoles from a single, highly customized control page. The PGM1 and MCP1 are true IP network devices, simplifying installation while providing increased flexibility for placement and distribution within large systems. The PGM1 easily delivers high-quality, low-latency audio data over long distances. Buttons on the products can be assigned to desired functions via MTX/MRX Editor software. In 2017, Zoom launched a scalable, cloud-based video telehealth solution: Zoom for Telehealth. This solution enables reliable, HIPAA-compliant communications between healthcare organizations, care teams, and patients in a user-friendly, secure environment. The system features cloud-based video, audio, and content sharing; support for desktop, mobile, and conference room systems; Epic integration; end-to-end AES-256 bit encryption of all meeting and message data; signed BAA; waiting room for patient privacy; platform API/SDK for integration with healthcare applications; remote camera control; and integration with point-of-care peripherals.